Happy FriYAY!! 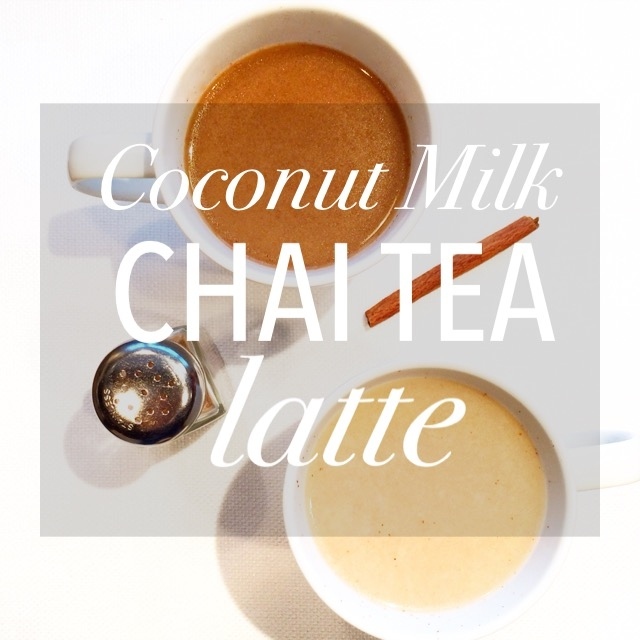 Guys, I loved the Copycat Starbucks Iced Coconut Milk Macchiato version so much I decided to make a cinnamon version. The timing was a bit ironic since Starbucks literally released the exact same version. I can honestly say I haven’t tried the Starbucks version, but mine is still pretty damn good. I brewed Starbucks cinnamon dolce coffee and used an almond milk base since that’s what I usually have in my fridge. Almond milk has a “thinner” consistency than coconut milk, so the macchiato just has a different depth, but all the flavors. I dusted the layers with cinnamon sugar from my trusty cinnamon sugar bear. Excuse me while I go sip on my Cinnamon Dolce Almond Milk Macchiato. Who Said Ice Trays Are Just for Ice? I’ve been a wee bit tired of water or seltzer, my two go-to’s, when I’m in need of some hydration. Why not make my drinks interesting? My apartment has three ice cube trays, and we don’t need three at all — one is always left abandoned. I usually make my iced coffee “iced” by just throwing in some ice cubes, but as my friend, Laura, aptly pointed out, “What do you do when your coffee’s watered down?” Well, I suppose I just drink my now-watery coffee and suffer in silence. As it’s all over Pinterest, why not freeze my coffee ahead of time? 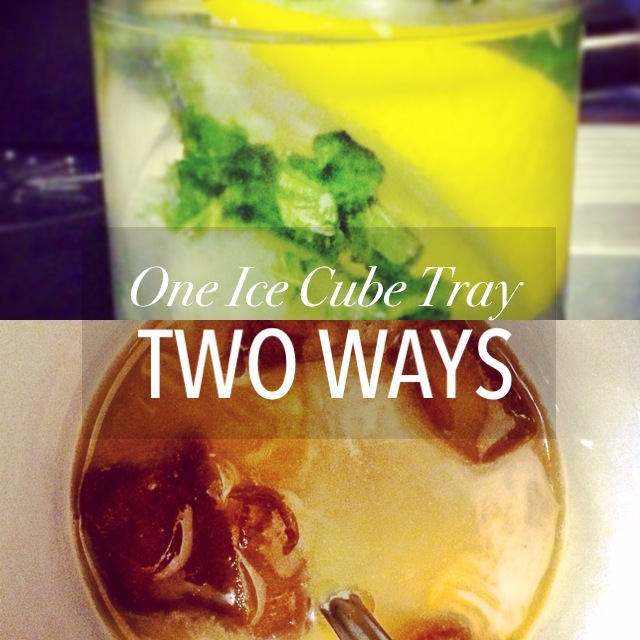 Why not “dress-up” my plain water with some lemon and mint ice cubes? Both of these options are extremely simple, but require some planning (i.e. allowing time to freeze). So don’t leave your unused ice cube trays abandoned in the freezer. Put them to some good use and jazz them up!